TAMPA, Fla. — The federal government promised to cancel the student loans of approximately 41,000 public employees and certain non-profit workers after ten years of payments as long as they worked in public service. A decade later, authorities approved just 206 people for loan cancellation, according to the U.S. Department of Education . One of those workers denied by the federal program is Gwen Green, who counsels struggling veterans at the non-profit organization Tampa Crossroads. After college, Green’s family grew along with her expenses. However, she stuck with the lower pay of a non-profit staff job, counting on the federal Student Loan Forgiveness Program to eventually erase $60,000 of her student debt. “All I had to do was make my payments on time and everything would be forgiven,” said Green. 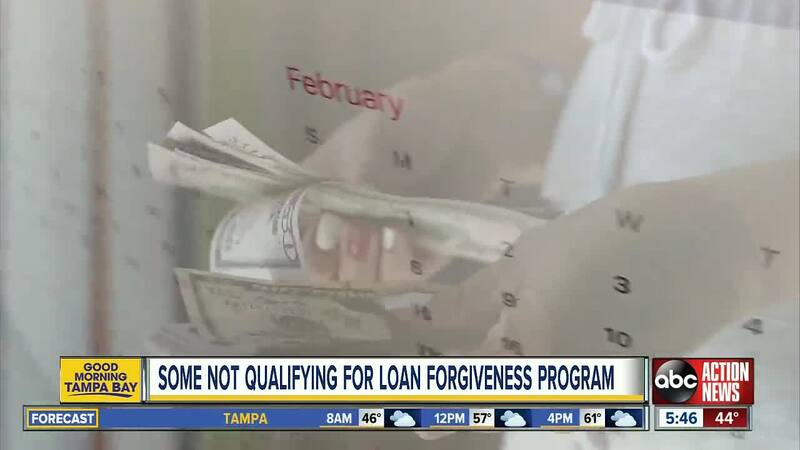 Green told Consumer Reporter Jackie Callaway she made monthly payments of $450 for the past decade only to learn last year that her loan didn’t qualify for the Forgiveness Program. Tampa attorney Christie Arkovitch filed a lawsuit last year against Navient , an offshoot of Sallie Mae , the country’s largest student loan company. According to federal rules, borrowers must consolidate into a so-called Direct Loan to be eligible for the Student Loan Forgiveness Program. The plaintiffs in the case say Navient never told them that. Chris Peterson of the Consumer Federation of America blames the Department of Education for not doing more to make sure people qualified for the program. “I would go so far as to say it is a national scandal,” said Peterson. The Government Accountability Office also blasted the Department of Education in a recent report, saying the federal agency provided “piecemeal guidance” for borrowers and failed to give complete information on how to qualify for the program. Just this month, the Department of Education posted an online tool that helps former students determine whether their jobs and their loans qualify them for the program: PSLF Help Tool [studentloans.gov] . Those tools come ten years too late to help Green and others like her. Green is not part of the Navient lawsuit, but has hired Arkovitch. She plans to take legal action against a different loan company. 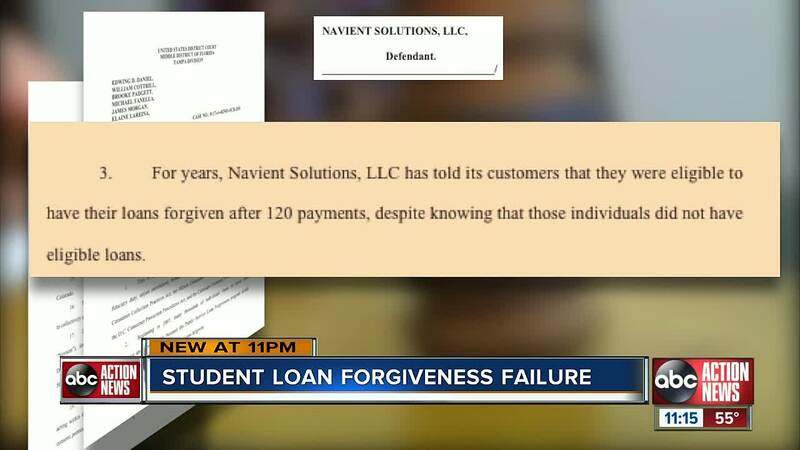 The I-Team reached out to Navient's attorneys with a request for comment on the allegations in the lawsuit against the company, but did not immediately receive a response.